Is there anybody in TrumpWorld that understands the current zeitgeist? 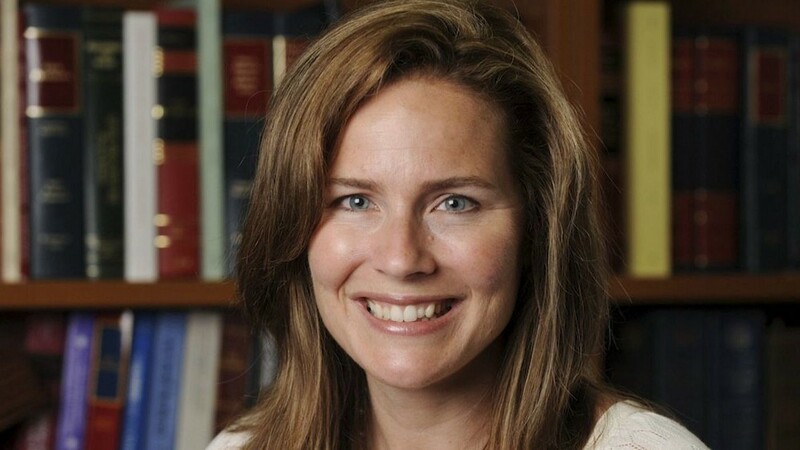 President Donald Trump’s nomination of Brett Kavanaugh instead of Judge Amy Coney Barrett for the U.S. Supreme Court will go down as one of the biggest strategic mistakes of the Trump presidency (…there will be so many to choose from, but his antagonizing China thereby forcing China and Russia into a stronger military alliance will probably be his biggest error). By failing to understand the legitimate grievances addressed by the #MeToo movement, Trump missed the perfect opportunity to offer a definitive response to the #MeToo movement’s excesses through the nomination of a strong, charismatic Republican woman to the Supreme Court. For a party possessing few nationally prominent women capable of attracting Trump’s vote base— UN Ambassador Nikki Haley and Iowa Senator Joni Ernst are the only two names that come to my mind —how could Trump’s White House advisers not understand the importance of this Supreme Court nomination decision. Instead, in an unforced error, Trump nominated an establishment Republican to the Supreme Court, a Bush family friend nonetheless, and the Trump administration will not have another chance to nominate a conservative jurist once the 2018 midterms put the Democrats back in control of the U.S. Senate. But give Trump credit, his cluelessness keeps his optimism strong. In his uncharacteristically terse and measured statement about his embattled Supreme Court nominee, Trump exposed his deep bias that may have sabotaged his pick to replace retiring Justice Anthony Kennedy. What does ‘(He) went to Yale Law School, top student’ have to do with the sexual assault accusation recently hurled at Kavanaugh by someone he knew in high school? Yale’s top law students are capable of sexual assault too. Education and talent offer no information on whether or not someone is capable of committing a sexual assault crime. When Trump speaks, he reveals himself. And by focusing on Kavanaugh’s resume, Trump revealed how disconnected he is from the controversy that will likely end this Supreme Court nominee’s candidacy and kill any chance Trump places another conservative jurist on the Court before the end of his first presidential term. It is not surprising Trump relies mostly on alma mater and superficial factors when he makes major personnel decisions. Trump, like most senior personnel managers in the private and public sector, is a flawed judge of character and talent. Nonetheless, Trump has advisers who collectively should have known better than offering Kavanaugh as the next Supreme Court appointment given the superior candidates available at the time. Most frustrating for social conservatives is that the ideal Supreme Court nominee under the current #MeToo zeitgeist was available. Judge Barrett, 46, a former Notre Dame professor and currently a U.S. Circuit Judge of the U.S. Court of Appeals for the 7th Circuit, was on Trump’s final four list of Supreme Court nominees to replace retiring Justice Anthony Kennedy. A staunch constitutional originalist in the vein of former Supreme Court Justice Antonin Scalia, Judge Barrett was confirmed by the U.S. Senate to the 7th Circuit after a contentious grilling from Democratic Senators Al Frankenand Dianne Feinstein on the Senate Judiciary Committee. When Senator Feinstein’s said to Barrett during the confirmation hearing last year that “the dogma lives loudly within you,” she signaled to the pro-choice Left that Barrett cannot be “trusted” to defend Roe v. Wade. Senator Feinstein’s ‘dogma’ obloquy was reminiscent of the religious bigotry faced by New York Governor Al Smith and President John F. Kennedy, both Catholics, when they ran for office. Up until last week’s 11th-hour stunt to derail the Kavanaugh nomination, Feinstein’s unsubtle smear of Judge Barrett’s faith was the low water mark in her Senate career. Knowing how Judge Barrett triggers the worst in Senate Democrats, was there a better nominee for the Supreme Court for the #MeToo era? No, according to conservative commentator Ben Shapiro, who said she was preferable, especially to Kavanaugh, as she is “more solid in terms of what originalists are hoping for.” Kavanaugh, Shapiro argued, was the “D.C. insider pick” and was being pushed hard by former members of the Bush administration. To ideological conservatives such as Shapiro, George W. Bush’s endorsement was a red flag. Kavanaugh is not a legal scholar on par with Antonin Scalia or Neil Gorsuch. He is, to be blunt, a political animal who thrived within the George W. Bush administration’s neoconservative project. He’s a entitled hack — pretty much what one should expect from a Georgetown Prep School grad. More distressing to ideological conservatives however was Kavanaugh’s 2011 D.C. Circuit ruling that some legal experts say established the legal roadmap to save Obamacare. That ruling and his connection to the George W. Bush administration offer evidence Kavanaugh would be another Justice John Roberts — which is why social conservatives may not be that upset when Kavanaugh is ultimately borked by the Senate. In contrast, Barrett would be the first female originalist on the Supreme Court, cut from the same legal cloth as Justices Scalia and Alito. “I tend to agree with those who say that a justice’s duty is to the Constitution and that is thus more legitimate for her to enforce her best understanding of the Constitution rather than a precedent she thinks is clearly in conflict with it,” Barrett wrote in 2013 regarding whether the landmark Supreme Court abortion ruling Roe v. Wade should be overturned. Barrett’s ascension to the Supreme Court would be a landmark appointment by any historical standard. According to White House sources, Barrett’s interview with Trump didn’t go well. One rumor spread on social media that Barrett was uncomfortable around Trump. Another rumor said Trump thought her voice was ‘too high’ and ‘mousy’ and would not resonate well in a Senate confirmation hearing. More substantively, White House insiders said the president feared Barrett would face a more divisive confirmation hearing than Kavanaugh due to her devout Catholic beliefs, particularly her strident view on abortion and her membership in a prayer group called the “People of Praise,” a charismatic “covenant community” first formed during the height of the 1960s social revolution. While Trump’s own statements on abortion rights oscillates between incoherent to just to the right of Opus Dei, he assumed Barrett’s well-documented opposition to Roe v. Wade would turn generally pro-choice Republican Senators Susan Collins and Lisa Murkowski against her Senate confirmation. But, apparently, what also set Trump against Barrett was her non-Ivy League pedigree. Barrett is an alumnus of Rhodes College and Notre Dame Law School, but Trump is said to believe the Supreme Court should be the domain of Ivy League-trained jurists. Is it inconsistent for a self-proclaimed anti-political-establishment president to still believe an Ivy League degree represents a basic qualification for the Supreme Court? Or for any other high-ranking government appointment for that matter? Not if you are Donald Trump. Showing little depth of knowledge on just about every major legal and public policy subject he’s faced as president, it should not surprise anyone that Trump has preferred to bring in Ivy Leaguers for his administration, often with disappointing and sometimes disastrous results (Rob Porter, Anthony Scaramucci, Steve Bannon, Steve Mnuchin, Jared Kushner, and Ben Carson). It must be frustrating to pro-life Americans that Trump’s incurable elitism and inability to understand the #MeToo movement that may well save Roe v. Wade from being overturned by the Supreme Court. It is not like Democrats don’t know how divided their party is and how increasingly intractable this split has become. Nonetheless, Moore had to make a movie about it under the guise of warning us how dangerous Donald Trump is to the American democracy. 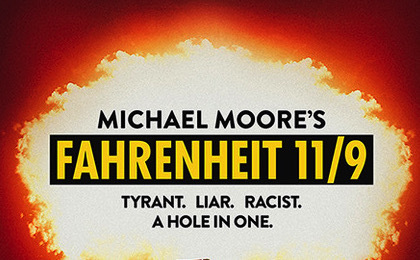 Moore’s newest documentary Fahrenheit 11/9 takes predictable swipes at Donald Trump — he’s a serial philanderer, a liar, a racist, a lousy businessman, and probably a Russian stooge — all of which we can hear on CNN and MSNBC on any given night. What is truly shocking about Moore’s newest film is that he has not forgiven the establishment wing of the Democratic Party (‘the corporatist wing’ as many progressives call it) for their culpability in getting Trump elected. The Russians get off easy in comparison. Just as Moore warned before the 2016 election through his one-man show “October Surprise,” Fahrenheit 11/9 diagrams the fundamental reason why Donald Trump was (and is) attractive to Middle America —particularly people in the Brexit states (Michigan, Wisconsin, Ohio and Pennsylvania). Before you have a chance to dig into your popcorn, Fahrenheit 11/9 describes Bill Clinton as a lying cad (which he is), Hillary Clinton as a warmonger and tool of Wall Street and Big Pharma interests (which she is), and laments that Barack Obama’s presidency was more style than substance (which it was). Moore’s attack on Obama was particularly pointed as he castigated him for failing to do enough during the Flint, Michigan water crisis. Flint, of course, is Moore’ hometown and its contaminated water occurred during the Obama administration, though it was a Republican governor’s effort to cut local government costs that precipitated the crisis. In Moore’s opinion, the Clintons, Obama and the current leadership of the Democratic Party, are defenders of the status quo, occasionally offering tepid support for progressive ideas such as universal health care and consumer debt relief, only to abandon them or water them down once in power. Why did Trump win according to Moore? Moore, without apology, is a New Deal Democrat patterned after the party’s mandate under FDR as a workers rights party, which remained the party’s banner through Walter Mondale’s 1984 run for president. Today we call such Democrats “progressives,” who are effectively marginalized by the centrist neoliberals (led by Bill Clinton in 1992) that now control the party. If the Democratic primary votes in 2016 are an indication, progressives constitute roughly 40 percent of current Democrats. And the issue that best demarcates the Democratic Party’s two factions is Medicare-for-All (MFA), the universal health care system, most often proposed by progressives, and is basically an expansion of the current Medicare system to cover all citizens. The neoliberal-progressive split on MFA was on vivid display during the recent New York Governor’s race for the Democratic nomination, with the incumbent, Governor Andrew Cuomo, indicating MFA was an “exciting possibility” for New York, while his opponent, Cynthia Nixon, a progressive, accused Cuomo of allowing the New York Health Act, which would have implemented a single-payer system in New York, to die in the New York State Senate. That race, won by Cuomo by a large margin, was bitter and ugly, though many New York progressives, such as their brightest star, Alexandria Ocasio-Cortez, have ended up endorsing Cuomo in the general election. And what do progressives get in return when they endorse “pragmatic” Democrats like Governor Cuomo? The one finger salute, apparently. Those are the words of a Democrat comfortable alienating 40 percent of his base, knowing he’ll get their general election vote regardless of how he belittles their movement and ideas. 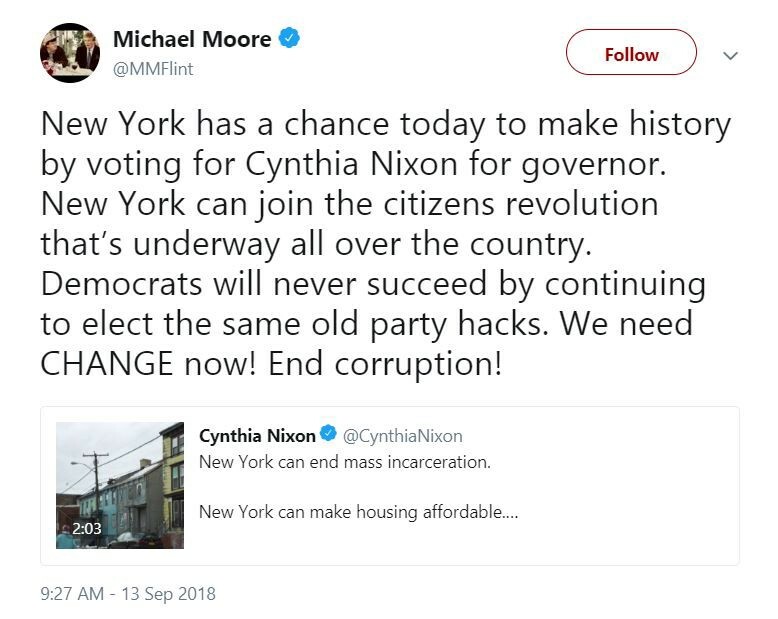 Moore keeps telling progressives, “Democrats will never succeed by continuing to elect the same old party hacks.” That in fact is the real message underscoring Fahrenheit 11/9. All the negative stuff in the movie about Donald Trump seems included for entertainment purposes only. Donald Trump proudly touts 4.1 percent GDP growth in the last quarter, as he should. For advanced economies today, economic growth at that rate is not the norm and rarely sustained. In Trump’s words, he’s released the American economy from the “shackles of Obama’s of government-worshiping approach” to policymaking where he increased environmental regulations through executive fiat, raised taxes and imposed even more regulations to fund Obamacare, and supported TARP and government spending increases in hopes of boosting an ailing economy coming out of the 2008 worldwide financial crisis. There is some truth to Trump’s argument and Democrats would be well advised to recognize its merits. But what makes Trump’s booming economy significant is that he tinkers with it while possessing no structured, interconnected understanding of how the economy works. 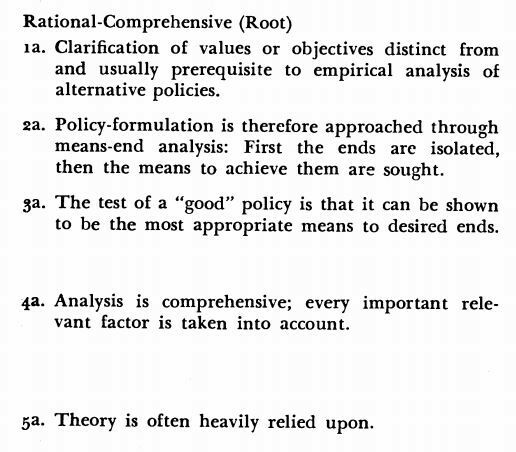 Trump’s policies are a jumbled mess only loosely linked to anything resembling economic theory. Where establishment Republicans since Ronald Reagan have attracted voters by touting Adam Smith’s classical economics along with its more recent neoclassical synthesis that acknowledges the utility of Keynesian policies for near-term macroeconomic boosts, Trump just throws economic policies against the wall to see what sticks. Some of Trump’s policies are pure classical economics (fewer regulations) while others are right out of Keynes (increased defense spending). Supply-side Trump has stoked disposable income through short-term tax cuts, and boosted business confidence by cutting corporate tax rates. Trump is no ideologue and his economic policies reflect that fact. And Trump the mercantilist shows no fear in starting a potentially growth-killing trade war with not only our greatest adversary — China — but with our closest allies (Canada, European Union). Trump’s intellectual malleability— which is a gentle way of describing it — is filled with internal contradictions that could undercut the economy in rapid fashion. The future debt growth arising from Trump’s tax cuts and massive defense budget increases is staggering. 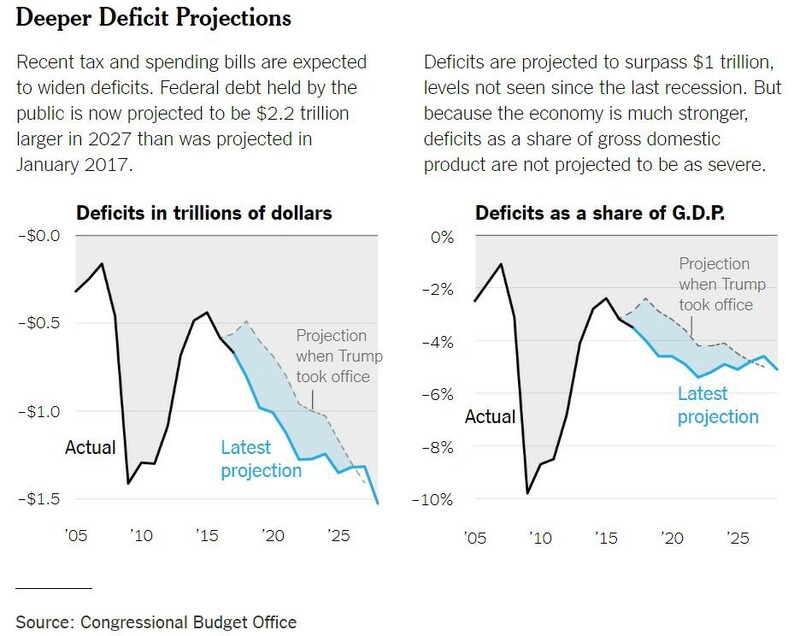 In April 2018, the Congressional Budget Office (CBO) announced its projection for the annual federal budget deficit to exceed $1 trillion in 2020 (see Figure 1). A $1 trillion deficit during an economic expansionary period! Imagine what will happen to government spending if a deep recession similar to the financial crisis of 2008 were to occur in the next four years. The neoclassical synthesis school recognizes the need for Keynesian policies in recessionary periods, but when the country is already carrying an annual deficit near $1 trillion, the government’s options become more limited. Sure, we could run the deficit to $2 trillion if we had to, but at some point that approach turns the U.S. into Greece and the major U.S. Treasury debt holders (China, Japan, Ireland, Brazil and Britain) will contemplate putting their money elsewhere. Yet, as I am a ‘Chicken Little deficit-hawk’ in the spirit of Senators Rand Paul and Mike Lee, I readily admit predictions of economic doom if we fail to reduce our national debt never materialize. And when I seek current evidence to support my sky-is-falling worldview, I get this: Moody’s Investor Service’s report in February 2018 ( “Preeminent Financial, Economic Position Offsets Weakening Government Finances”) about the capacity of the U.S. economy to handle our growing national debt. The study is a near total rebuke of small government libertarians. At least Moody’s acknowledges the impending fiscal weakness, which they say will be driven by our country’s rising entitlement costs, rising interest rates, and Trump’s tax cuts. Still, many factors keep the U.S. from becoming Greece, according to Moody’s report, including our trade competitiveness, rich resource endowment, high income levels and relatively supportive demographic trends. Yes, President Trump, you read that correctly: supportive demographic trends. There must be some Never Trumpers at Moody’s because their report emphasizes that one of this nation’s greatest advantages over other advanced, slow-growth economies is the significant influx of new immigrants that helps keep our nation’s population growing at a time when others are contemplating losing population over the next 20 years (Japan, Greece, Poland). Finally, most important to the U.S.’s ability to handle its growing national debt, according to Moody’s report, is the role of the U.S. dollar in global financial markets and the depth and liquidity of the U.S. treasury market. 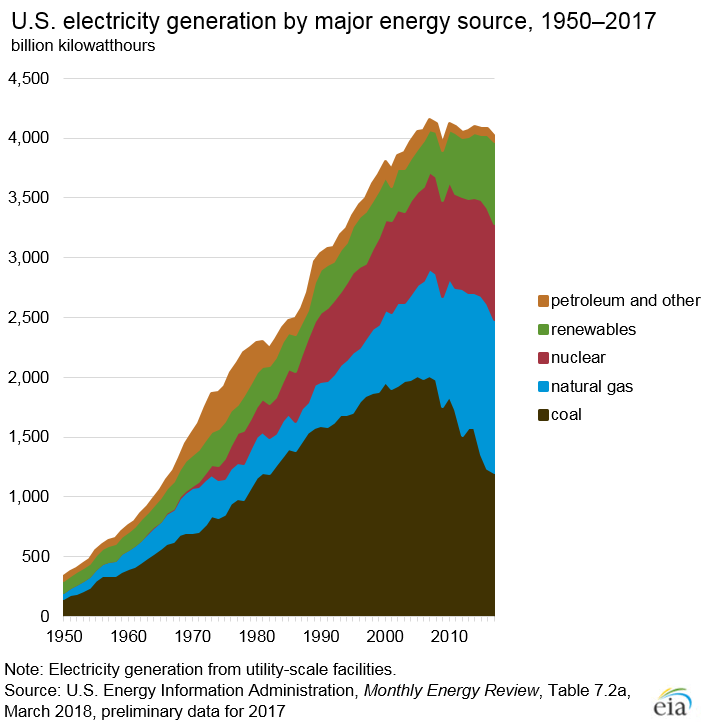 “They insulate the U.S. from external shocks and shifts in financing conditions in a way not seen with other sovereigns,” says the Moody’s report. While Moody’s shuts up people like myself, I still believe in this economic maxim: All else equal, economies perform better when guided by free markets and lower levels of government intrusion. What reinforces my belief in small government are charts like the following that I created using data from The Heritage Foundation’s 2018 Index of Economic Freedom report. For over 20 years now, The Heritage Foundation, a free market, conservative-leaning think tank, has been quantifying the levels of economic freedom across the globe. “Economic freedom is a critical element of human well-being and a vital linchpin in sustaining a free civil society. As the Index of Economic Freedom catalogues, the best path to prosperity is the path of freedom: letting individuals decide for themselves how best to achieve their dreams and aspirations and those of their families,” write Terry Miller, Anthony B. Kim and James M. Roberts in the introduction to The Heritage Foundation’s 2018 Index of Economic Freedom report. The 2018 Index of Economic Freedom (IEF) grades and ranks countries on 12 measures of economic freedom that evaluate the rule of law, government size, regulatory efficiency, and the openness of markets. A complete description of the 2018 IEF methodology can be found here. 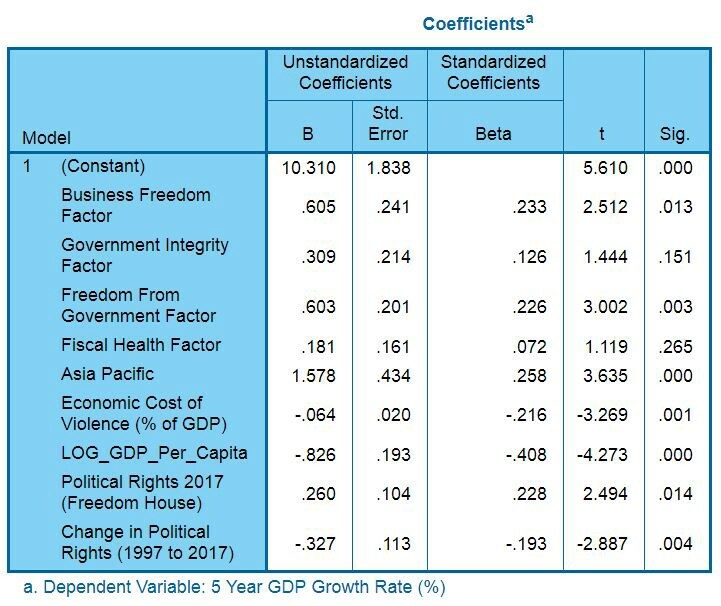 My innovation to the 2018 IEF data set was to reduce the 12 measures of economic freedom down to four (Business Freedom, Gov’t Integrity, Freedom from Gov’t, and Fiscal Integrity) through a principle components analysis which is available upon request. Of particular interest are the Business Freedom and Freedom from Government factors as they were strongly associated with 5-year GDP growth across all of the models tested. The Business Freedom factor measures a country’s regulatory and infrastructure conditions that impact the ease of starting, operating, and closing a business. The Freedom from Government factor has two major components. The first measures a country’s tax burden in terms of marginal tax rates on both personal and corporate income and the overall level of taxation (including direct and indirect taxes imposed by all levels of government) as a percentage of gross domestic product (GDP). The second component reflects the burden imposed by government expenditures, which includes consumption by the state and all transfer payments related to various entitlement programs. (1) Freedom House’s 1997 and 2017 Index of Political Rights to test the association of political freedoms and institutions with economic growth. This variable is coded on a 1 to 7 scale where 1 equals the highest level of political rights and 7 equals the lowest level of political rights. (2) The economic cost of violence as a percent of GDP (as measured by the Institute for Economics and Peace).to control for the effects of war and domestic violence on a nation’s GDP growth. Finally, my dependent measure was the 5-year GDP growth for each country from 2013 to 2017 (Source: World Bank) and the linear model generated using SPSS software is in the Appendix. As I am using a cross-sectional model to investigate the relationship between GDP growth and economic freedom, I am not able to draw strong conclusions about the direction of the causal relationships or how those dynamics change over time and in different economic contexts. It should also be noted that the 2018 IEF dataset occurs within a general period of economic expansion across the globe. Nonetheless, while I do not pretend that the following results prove anything, they give us a snapshot at one point in time about the economic relationships between freedom and GDP growth. 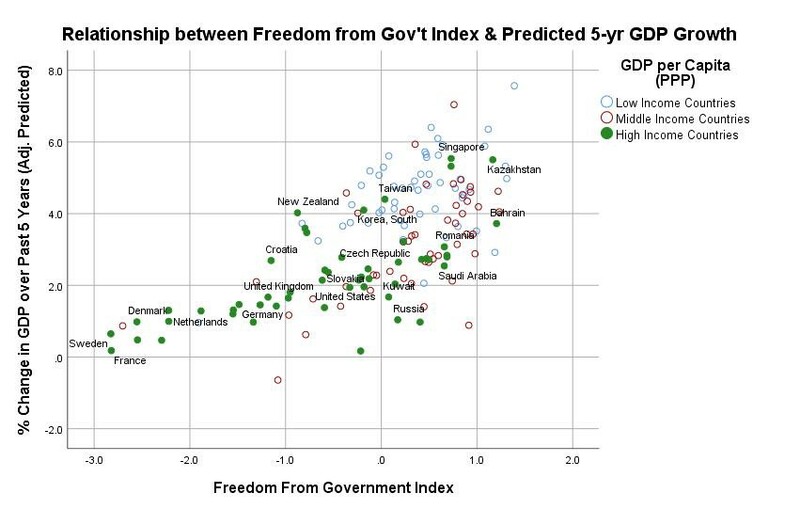 The first graph (Figure 2) shows the relationship between the Freedom from Government factor and the predicted 5-year GDP growth. Interesting to note in the graph is how low-income countries tend to have higher predicted GDP growth. Also interesting is that the linear relationship between the Freedom from Government factor and predicted GDP growth is still strong when filtering down to only high-income countries (the green dots). It is apparent that the “Asian Tiger” countries (South Korea, Singapore, Taiwan, etc.) predominate among the high-income countries with strong predicted GDP growth. No surprise there. The second graph (Figure 3) shows the relationship between the change in the Index of Political Freedom (1997 to 2017) and the predicted 5-year GDP growth. 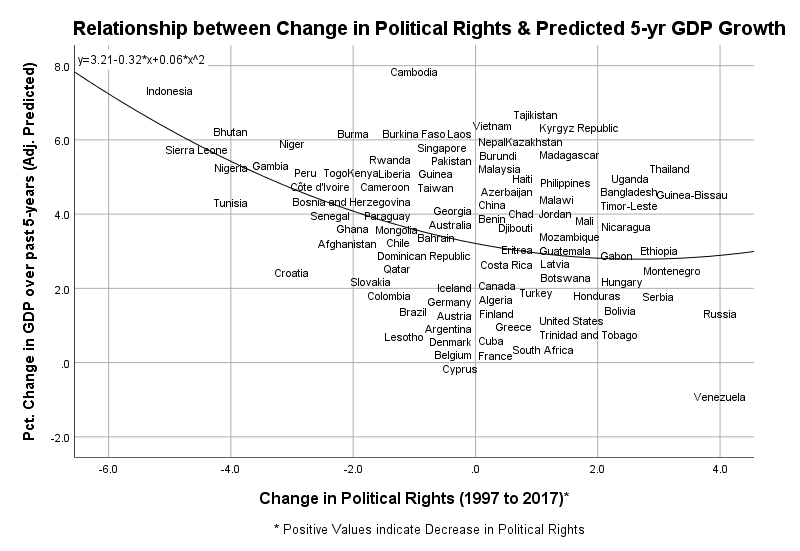 Interesting to note in this graph are the countries where political freedoms declined over the 20-year period (Russia, Serbia, Venezuela, Hungary, etc.) also have lower predicted GDP growth. Conversely, countries where political freedoms increased (as many in Africa did), predicted GDP growth was higher (Indonesia, Tunisia, Nigeria, Gambia, Niger, Sierra Leone, etc.). The takeaway is that economic and political freedom really does matter. The ability to start and operate a business without excessive government intervention aids in a country’s economic development. The more government takes from the economy (taxes) and competes for resources (gov’t spending), the lower the growth prospects for a country. That sounds like a message right out of the Ronald Reagan playbook. This is not an argument against all government spending. Governments are vital when ‘tragedy of the commons’ and other sub-optimal results occur in free market environments. And in the provision of many vital services and functions — such as health care, education, and national security — governments are often more efficient and economically rational than the private sector. It is economically plausible that a Medicare-for-All health care system in the U.S., such as the one as proposed by Vermont Senator Bernie Sanders, would eat fewer financial resources than the current ‘mostly private’ system while also providing better outcomes. A recent study by the Mercatus Center (George Mason University) provides tentative evidence of this possibility, though critics of a Medicare-for-All system are quick to point out that many strong assumptions in the Mercatus study would need to be realized for Medicare-for-All to save the nation money. Therefore, a general belief in the power of free markets to unleash a nation’s economic potential should not be translated to mean every social function has to be met by an unfettered private sector. Our expensive and ineffective U.S. health care system is living proof that free enterprise has its limits. For my entire adult life, the Republicans have carried the following message to the voters at every level of elected office: Less government is better government; lower taxes, fewer regulations will unleash the power of free markets. The Republicans’ franchising of this simple message over the past 40 years may well account for their current dominance at all levels of government. In Morone’s view, the Republican’s have ridden their big government is the enemy trope into power and maintained their political dominance at all levels of government because Democrats and progressives have never countered with equally coherent, grand vision. Democrats and progressives are good at offering policies and solutions to address problems, but that strategy, according to Morone, only reinforces the germaneness of the Republican’s pre-Trump narrative. It’s not like Democrats haven’t possessed opportunities to turn the GOP’s own ‘anti-government’ sentiments against them given, since World War II, the GOP while in control of the executive branch has never decreased the size of government. Ironically, it took a Democrat to translate the GOP’s ideas into reality. In Bill Clinton’s last year in office, the federal payroll, when measured relative size to the total U.S population, had almost 25 percent fewer civilian employeeswhen compared to 1992. Similarly, direct federal expenditures under Clinton held constant during his presidency, going from $5,694 per American in 1992 to $5,647 per American in 1999 (when measured in constant dollars). When measured as a percent of gross domestic product, federal net outlays under Clinton fell from 21 percent to 17 percent (see Figure 4). As I often quote my father as saying about Bill Clinton, ‘He was the greatest Republican president we’ve ever had.” He wasn’t saying it as a compliment, however; but I now believe, as a libertarian with progressive tendencies (or am I a progressive with libertarian tendencies? 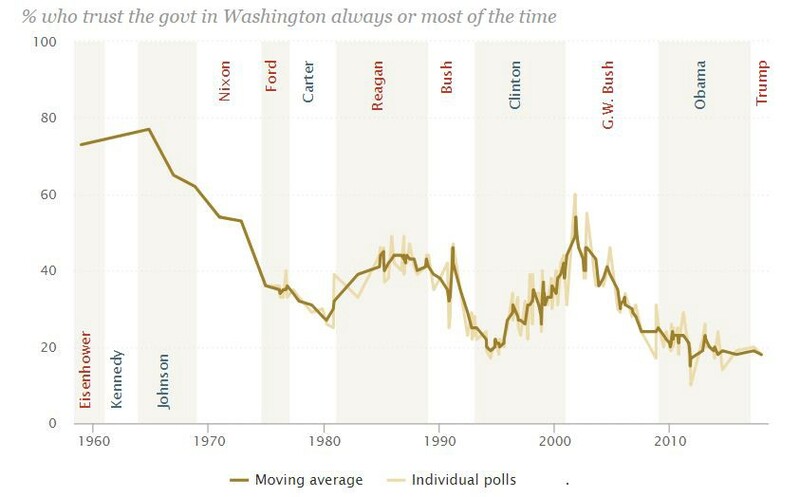 ), the post-Clinton presidencies squandered an opportunity to put the federal government on a sound fiscal path that could have lasted through the 21st century. If Clinton’s fiscal model had been pursued through today —smaller government, higher taxes on the wealthy, targeted tax cuts, broad deregulation, and limited military commitments — this country would be in a better financial position to consider substantive policy ideas to address global warming, terrorism, student debt, slow wage growth, and a more rational health care system. Instead, our country today is too busy funding the occupations of Afghanistan and one-third of Syria, supporting a regime change war in Yemen, threatening new regime wars in Iran and North Korea, and maintaining military bases and special operations forces in over 150 countries, to seriously consider implementing progressive policies such as an economically rational health care system comparable to what EVERY advanced economy in the world already enjoys. In the shadow of the Trump administration, it is very sheikh in intellectual circles to reevaluate George W. Bush’s legacy as not being as bad as we once thought. The rehabilitation of W. is what happens when corporate Democrats join forces with neocons like Bill Kristol and David Frum in a common struggle to remove Donald the Barbarian from power. In point of fact, the cost of George W. Bush’s incompetence continues to grow by the day. The hope that Barack Obama would end Bush’s interventionism never materialized — instead, he maintained most of the U.S.’s military commitments abroad and, often at the urging of his Secretaries of State, found new ones (Libya, Syria, Yemen, and half of the African continent). The ink and airtime spent in the last two years by the news media over Russia’s crude meddling in the 2016 election is a convenient distraction so establishment Democrats and Republicans won’t be held accountable for their failed foreign policy policies and unsustainable military interventions over the nearly past 20 years. 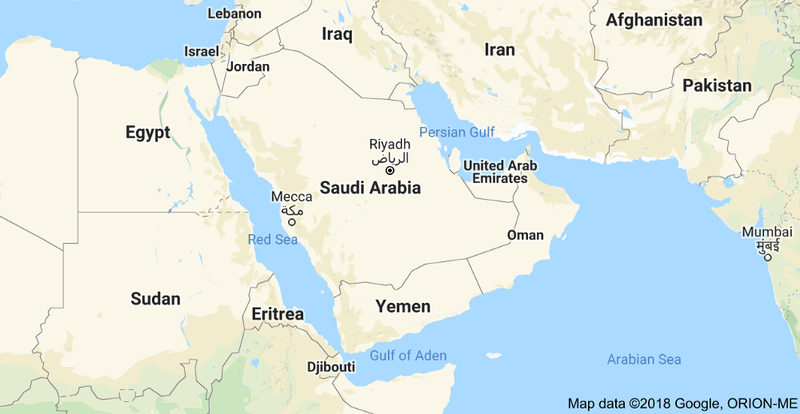 The radical Islamic terrorism whose seeds were planted by the First Gulf War in 1991 but isolated geographically in Middle East, now finds sanctuary from Southeast Asia to Northern Africa and has planted roots in many of Europe’s largest urban centers. Our Middle East regime change wars create more problems than they solve through the killing and dislocating of millions of civilian noncombatants, destabilizing social institutions, inflaming centuries-old conflicts, and increasing the regional influence of America’s competitors like Russia and Iran. 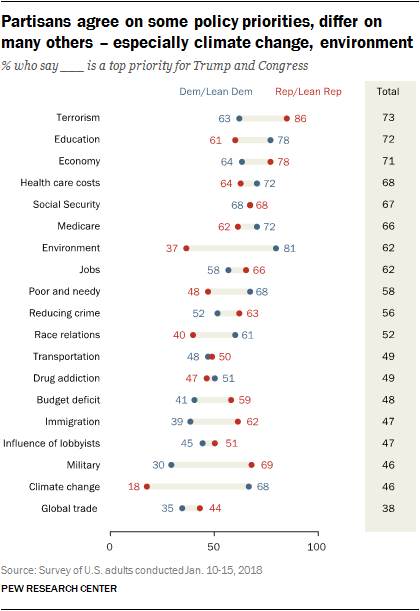 Why are newspapers and TV news among the least trusted institutions in America? Because they fail to address the issues that matter most to people. Russia doesn’t keep 30 million Americans without health insurance. Russia doesn’t saddle college students with debt that will take some most of their adult life to pay off. 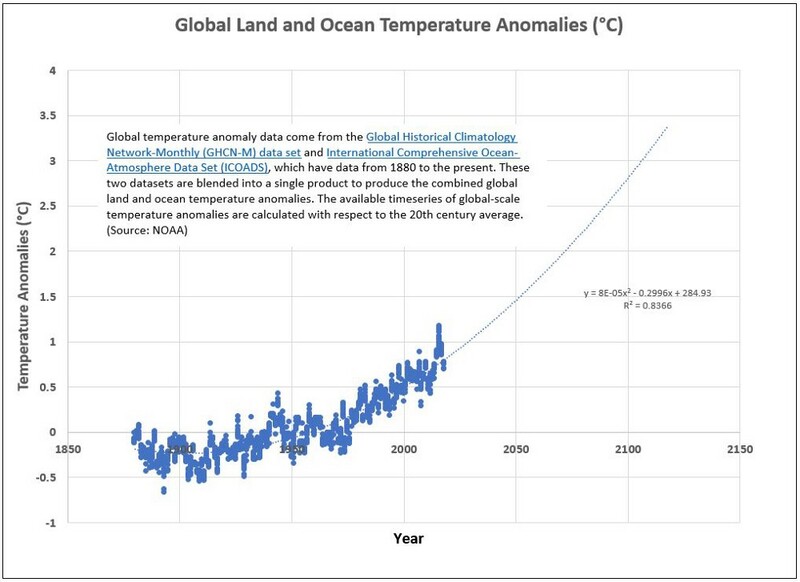 Russia isn’t warming the planet to where forest fires, droughts and urban flooding are no longer newsworthy but the norm (oh wait, Russia is actually part of that problem…but no more culpable than we are). The media-fanned Russia scare looming over America today has set this country back on a whole host of important issues. Two years have been lost and there is no reason to believe we won’t lose the next two as well. As long as the mainstream media continues to profit from fulminating at every word out of Donald Trump’s mouth and trying to convince Americans that Russia and Trump are existential threats to our democracy (they aren’t), as a nation, we are avoiding the real conversations that need to be going on regarding our counterproductive military entanglements and the more pressing domestic issues such as an over-priced health care system, student debt, and stagnant incomes for half of the country. But nothing demonstrates the feckless and banal content of today’s news media than their uncritical coverage of American’s pursuit of regime change wars across the globe. The crass cynicism of the corporate media and its unapologetic shilling for the nation’s military-industrial interests is perfectly captured in this discussion between CNN’s Wolf Blitzer and U.S. Senator Rand Paul (R-KY) over America’s continued military support to Saudi Arabia in its proxy with Iran in Yemen’s civil war. Wolf, sometimes you are a total imbecile. That some Americans disproportionately profit from the American war machine is not new but it is always news. And who is front and center supporting (and profiting) from the military-industrial complex? Comcast. AT&T. Disney. 21st Century Fox. Viacom. CBS. Just six companies, for all practical purposes, control the media you consume. 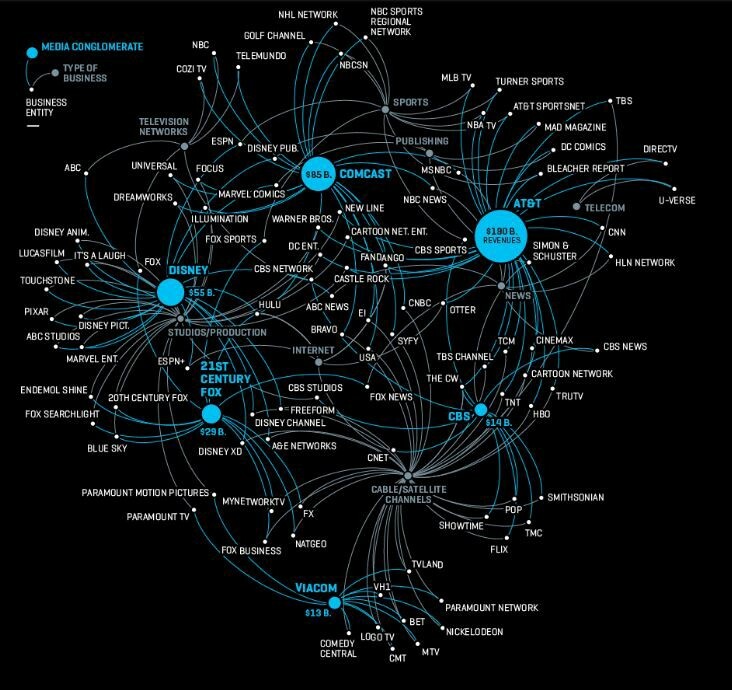 Thirty years ago it would have been 50 companies controlling 90 percent of the U.S. media. This is a problem with, not a virtue of free market capitalism. Animal species depend and thrive on genetic diversity. It helps them avoid going down some potentially unfortunate genetic cul-de-sacs. Charles II (1661–1700) was the son of Philip IV of Spain and his second wife, Mariana of Austria. Quite unfortunately, Philip and Mariana were uncle and niece to each other, making Charles, their son, also their great-nephew and first-cousin respectively. 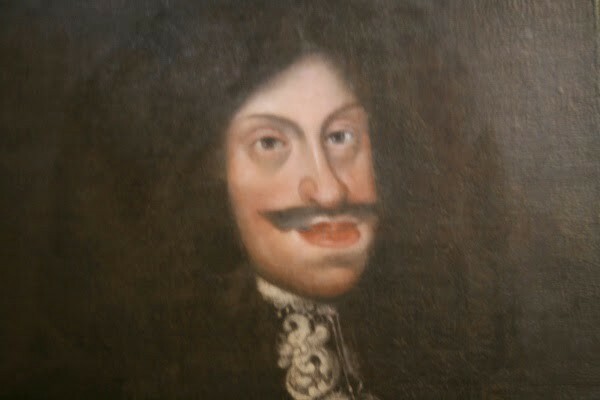 Hence, the Habsburg jaw. As a child, Charles did not talk until the age of four or walk until eight and was considered, using the terminology of the day, an total imbecile. He nonetheless rose to throne in 1665 and reigned for five torturous years. In Charles II of Spain, I can’t think of a better analogy to represent today’s American news media — inbred, lame, unteachable, yet still dangerous. The U.S. democracy is under threat, but it is not from the Trumps or the Russians. And while both can do harm to this country, their threat pales in comparison to a national news media that is hopelessly biased, incurious, frequently inaccurate, impertinent and generally not trusted by most Americans. Will the soon-to-be-released documentary, Active Measures, and the new book by Craig Unger, The House of Putin: The Untold Story of Donald Trump and the Russian Mafia, reveal something new about Donald Trump’s Russian connections that will bring his presidency down? Let me pump the brakes on this one. The film (from what I’ve seen of it) and the Unger book are fascinating and compelling, but they share two deep flaws: a heavy reliance on the testimony of very, VERY shady characters and a healthy dose of speculation in lieu of hard evidence. Last week, comedian Bill Maher touted the conclusiveness of the evidence presented in Active Measures that alleges the Russian mob ‘made their move’ on Trump in 2002. Maher may have just had his ‘slam dunk’ moment. “He’s a Russian asset,” trumpeted Maher (pardon the pun). Perhaps, but what is the evidence? The film walks through Trump’s business history where, by 2002, Trump had experienced numerous bankruptcies and was finding it difficult to raise capital using American banks. According to filmmaker Jack Bryan, the Russian mob, which is known to use the New York City real estate market to launder their ill-gotten money, came to Trump’s rescue and started funneling money and credit to the Trump Organization. I have only seen extended excerpts from Active Measures but from what I have seen, the film contains more conjecture than slam dunk proof of Trump’s misdeeds. Accordingly, I fear Trump’s critics are putting far too much weight on the power of this film to ‘take down the President.’ Evidence that sounds iron-clad in a documentary, often breaks down under the legal processes’ bright lights. It’s the Steele dossier all over again. Neither Bryan or Unger sufficiently entertain the real possibility that their Russian sources are deliberately lying to inject even more chaos into the American political system. That is one of Russian intelligence’s bread-and-butter tradecraft methods. The Ponder story, which details Trump’s alleged American mafia ties (not the Russian mob), describes money laundering processes parallel to the Russian mob’s methods outlined in Active Measures. But that is the problem with the Trump-Russian mob connection story: it is well-trodden ground with not single money laundering indictment of Trump during that time. Prior to the 2016 election, the federal prosecutors in the Southern District of New York certainly must have been aware of the Trump Organization’s alleged mob connections, which some claim go as far back as the 1980s. Of course, pretty much every real estate developer in New York City will, at some point, come into contact with the mob. The Mueller probe, known to be looking into the Trump Organization’s business practices including alleged money laundering activities, may have financial information on Trump that has never been reported before now. That is always a possibility. According to defense attorney Christopher Morales, money laundering requires three steps: (1) Obtaining illegal cash, (2) a financial transaction meant to disguise the source of the funds, and (3) and the money is used as legal funds. “To be criminally culpable under 18 U.S.C. §1956(a)(1), a defendant must conduct or attempt to conduct a financial transaction, knowing that the property involved in the financial transaction represents the proceeds of any unlawful activity, with one of the specific intents, and the property must in fact be derived from a specified unlawful activity,” says Morales. As the Trump Organization would be an intermediary, not the original source of the illegal cash, Trump’s willful ignorance might pay off if he is ever indicted for money laundering. Eric Trump’s now famous 2014 quote during a golf outing, “We don’t rely on American banks — we have all the funding we need out of Russia,” would actually buttress Donald Trump’s likely defense that he was unaware of the money’s illegal origins, should he be indicted for money laundering. Again, Mueller may have emails, phone conversations or other incriminating financial documents proving Trump knowingly laundered funds involved in a financial transaction originating from an unlawful activity. And Active Measures doesn’t just focus on money laundering. It alleges the Trump Organization became deeply indebted to the Russian mob after 2002 which is supposed to explain Trump’s conversion into a Russian asset and his current obsequiousness towards all things Russian. We’ll have to wait and see what actual evidence Mueller has found. In the meantime, remain skeptical of Democrat-funded documentaries and quickly written books purporting to have proof of Trump’s fealty to the Russians. (3) And establishes Jewish settlement as a national value that will be promoted by the State. This represents what is likely a de facto acknowledgement by Israel’s political Right that Israeli is headed towards the official annexation of the West Bank and the implementation of a One-State-Solution with Arab Israelis (mostly Palestinians) being legally relegated to second-class citizenship status. Livni has also stated support for a two-state solution which ensures Israel’s security and identity as a Jewish and democratic state. In fact, from 2006 to 2009, Livni served as Israel’s Acting Prime Minister, during which she led multiple rounds of peace talks with the Palestinians. Outside of Israel, the Jewish Nation-State Law has been openly questioned. “We are concerned, we have expressed this concern and we will continue to engage with Israeli authorities in this context,” a spokeswoman for European Union foreign affairs chief Federica Mogherini told a news briefing. Even the U.S., a strong ally of the Netanyahu government, has asked for clarifications from the Israeli Prime Minister’s Office. Officials in Washington are particularly concerned about the “Jewish settlement” clause and how that will impact the rights of minority groups. Those most negatively impacted by the Jewish Nation-State Law are of course Arab Israelis. Jamal Zahalka, an Arab member of the Knesset and vocal opponent of the law, believes it will legitimize anti-Arab racism and increase the building of illegal settlements in the occupied Palestinian territories. Like Donald Trump, Netanyahu stokes racist sentiments for political advantage. He ditches any pretense of trying to represent the interests of an entire country and, instead, foments social divisions that keep the people divided and less likely to reach a broad, lasting reconciliation between Jewish and Arab Israelis. The Jewish Nation-State Law will add twenty years to any legal effort by Israeli Arabs to achieve equal rights in their own country. That is not merely an ancillary effect of the new law, it is one of its primary purposes. On the other hand, it is time for everyone within and outside of Israel to realize the Two-State-Solution is officially dead and buried. It has no future and cannot be revived. The Israeli Knesset made that official on July 19th. Now, progressive leaders in Israeli — Jewish and Arab — must recognize this new phase in the Israeli-Palestinian conflict will be contested more and more in courtrooms, not as much in street and border protests. That could be a good thing as Palestinians, even with the Jewish Nation-State-Law, will not face as big an asymmetric disadvantage as they do when they confront Israel militarily. There is still hope for a lasting, peaceful resolution to Israeli-Palestinian conflict. It just won’t include a Two-State-Solution — may it rest in peace. What ever happened with the Douma, Syria chemical attack investigation? On April 7, 2018, a chemical attack in the Douma, Syria reportedly killed at least 70 people. Initially, it was not certain what (if any) chemical had been used, though medics and rebel-allied witnesses mentioned smelling chlorine. As with any war zone, reliable information on the attack was hard to secure. “And there is definitely something (sniffs) that stings,” said CNN correspondent Arwa Damon as she tweaked her nose after smelling some clothing allegedly involved in the chemical attack. Unfortunately for CNN and the anti-Syrian government brigade on Capitol Hill, there was no definitive evidence that the Douma attack was perpetrated by the Bashar al-Assad regime. The U.S. and most NATO countries attributed the attack to the Syrian Army, despite Russian and Syrian government claims that the attack was a ‘false flag’ attack engineered by rebel groups and British intelligence. No independent evidence was ever presented by Russia or Syria to support their assertion. Despite the uncertainty of the source of the Douma attack, on April 14th, the U.S., France and the United Kingdom carried out military strikes against multiple government sites in Syria. What did the OPCW investigation into the Douma attack find? When there is a suspected chemical attack somewhere in the world, the internationally-respected investigation group, Organisation for the Prohibition of Chemical Weapons (OPCW), tries to get on the ground as soon as possible and collect its own independent evidence. Chemical attacks are against the Geneva Convention and are war crimes. Furthermore, the Assad regime (as did the Saddam Hussein regime in Iraq) has used chemical weapons against its own people. That is not debatable. But so too have the anti-regime forces. That is also not debatable. From a strategic point of view, some observers thought the Douma attack made little sense, assuming Assad was rational and wanted to stay in power. His forces were about to take over Douma from anti-regime forces when the alleged chemical attack occurred. As a ‘false flag’ operation where anti-regime forces would try to pin the blame on Assad’s forces, the Douma attack made much more sense. In that scenario, if the blame could be assigned to the Assad regime, it would increase the chance of deepening the U.S. military commitment in Syria. In other words, the OPCW confirmed that no nerve agent was used in Douma but could not confirm a chlorine-gas attack on civilians. More analysis will need to be done, said the OPCW. However, in another OPCW report issued at the same time as the Douma preliminary report, the OPCW shared its final findings on allegations of chemical weapons used in Al-Hamadaniya, Syria on October 30, 2016, and Karm al-Tarrab, Syria on November 13, 2016. But, strangely, I never heard about OPCW preliminary or final reports from mainstream U.S. news media outlets. I first read about it on Al Jazeera and again on RT.com (the Russian international news organization partially funded by the Russian government). And, while I have no doubt in the 24–7 cable news cycle the OPCW’s findings on the Douma and other alleged chemical attacks were mentioned on CNN or MSNBC, it was certainly never emphasized. I also saw the OPCW-Douma story on the Syrian government aligned news site called the Inside Syria Media Center. It is a pro-Syrian government news organization, probably financed by Iran, though it does not explicitly identify its funding sources on its website. Hence, it is considered a propagandist organization and is one of the hundreds of Facebook accounts recently suspended by Facebook for allegedly spreading “factually inaccurate” information. This was a voluntary act of censorship by Facebook. So, as of today, if you are a Facebook user and want to learn more about U.S.-Saudi-UAE actions in Yemen, where dozens of Yemeni children were recently killed by a U.S.-supplied Saudi air attack, you will find it harder to be informed. Instead, you are more likely to get a Saudi, Israeli, or Trump administration view on that senseless massacre. That might be acceptable for the causal, intermittent news consumer. 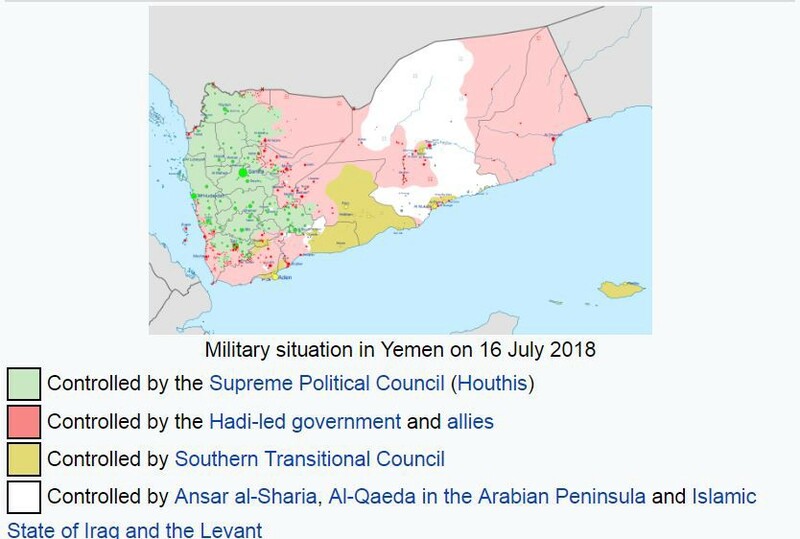 But that should not be acceptable for anyone that really wants to understand what is going on in Yemen or any other Middle East conflict where Iran, Saudi Arabia, Israel and the U.S. are direct or indirect participants. If the Saudi, Israeli and U.S. point of view is all you require from your Middle East news, Facebook is working for you. For the rest of us, Facebook’s censorship campaign is doing us a tremendous disservice. It was a sad moment in real time watching Bill Maher’s HBO’s Real Timeaudience cheer at the news that tornadic showman and InfoWars founder Alex Jones was being suspended on a number of social media platforms. To Bill Maher’s admirable credit, he chastised his audience and the former Michigan Governor Jennifer Granholm, who is in a constant search for the most sublime level of political tonedeafness, for their mob mentality in applauding the censorship of Alex Jones. Alex Jones is indefensible on many levels. He’s a fantasist — a health supplement-pushing performance artist that profits from defaming the powerful (and, to his lawyer’s dismay, occasionally targets defenseless average folk) and pushes social theories meant to exploit existing social and political divisions. His best vein-popping rants, however, are brilliant theater (here is one of his pitch-perfect anti-globalist rants), matched in talent only by the progressive Left’s Jimmy Dore (here is one of his funniest political rants). Yes, American civic discourse is more coarse than ever — but Alex Jones and Jimmy Dore are, first and foremost, about entertainment in the context of civic discourse. Not every comedian does political comedy (Thank God! for Steve Martin and Jerry Seinfeld) but some of those who do it, do it very well (and, frankly, Dore’s material is often far more honest and information-laden than any mainstream cable news show). So when Facebook and Twitter suspends Alex Jones, it should matter to all of us, regardless of ideological orientation. There is something seriously wrong in this country today when people cheer the rapid decay of a social consensus on free speech and of the press. While not technically a First Amendment issue, as Facebook and Twitter have the legal right to delete Jones (and InfoWars) from their services, their act is still censorship. In fact, it may be worse than government-mandated censorship as Facebook and Twitter did this voluntarily (after weathering some credible threats from congressional Democrats and anti-Trump Republicans that, if Facebook and Twitter don’t censor their service’s content, Congress will). The enthusiastic cheering by Bill Maher’s audience indicates this new period of American censorship is not about to end and it has already limited your ability to find the news and content necessary to be an informed world citizen. No, InfoWars should not be your primary source for world news. But with the news that Facebook removed 652 pages, groups and accounts “for coordinated inauthentic behavior that originated in Iran,” the use of censorship by Facebook to homogeneous its content has become normalized. And it will happen again and again…until Facebook users decide they’ve had enough and collectively leave Facebook. You’ll be forgiven if you thought Facebook, Twitter and YouTube (Google) were just targeting Russian trolls and influence operations for their censorship programs. Why now are Facebook censors targeting Iran influence operations (and, more quietly, Palestinian-sourced Facebook pages)? Are Russia and Iran the only countries running covert influence operations through Facebook and other internet platforms? Of course not. Every major country runs covert influence operations to promote their national interests and preferred policies. Its called statecraft. It’s not as cloak-and-daggery as cyber-security firms like FireEye (who helped Facebook identify influence operations on their service) try to make it sound. Its often just a series of rather mundane publishing activities where the content lacks attribution to its government source. Countries’ intelligence and defense agencies incentivize journalists to write stories favorable to specific policies or opinions; and some create web-based news sites to propagandize for the government without directly (or even obliquely) identifying the information source. The targets of the information are usually foreign audiences, but not always. And they don’t always tell the truth, even to their domestic audiences. Because that is statecraft. That is what governments do. And now we have Facebook deciding by algorithm what is ‘good information’ versus ‘bad information.’ And why target Iran now? It’s not too hard to guess. Facebook is being persistently nudged by Congress (and the defense and security establishment) to identify influence operations originating from countries hostile to U.S. interests, particularly countries the U.S. may want to militarily engage with in the next few years. Don’t be surprised if North Korea is also on the censorship target list. Facebook and the other major social media platforms are morphing into propagandizing machines for U.S. business and government interests, not unlike the content already available during an average quarter-hour on U.S. cable news networks. Facebook will never be that homogeneous, but it will continue to trend towards that type of monotony as its algorithms continue to filter out ‘disinformation’ and unacceptable viewpoints. Having worked with them for thirty years, algorithms are rarely unbiased. The questions always become: Is the known bias acceptable? 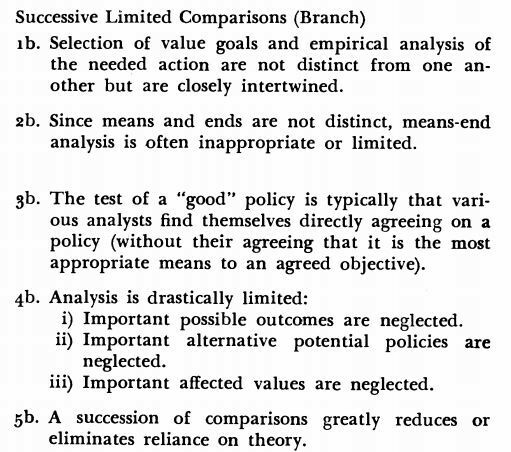 And what may be the unintended, potentially unacceptable biases? Facebook and Twitter are fast abandoning their original charters to be open, free speech environments for a worldwide online community. That dream is officially over and I suppose we are supposed to blame that on the Russians too. It should never have been Facebook and Twitter’s job to determine what is ‘factually correct’ or appropriate content. In its first censorship algorithm, Facebook suspended a page containing the Declaration of Independence due to ‘hate speech’ contained in its text, but kept Holocaust-denying Facebook pages. And now the company is expected, with the help of cyber-security firms like FireEye, to identify systematic disinformation on its pages? I think not. And Facebook and other social media users may want to start looking for better online platforms to share information, opinions, and general happenings. It might force Facebook and Twitter to remember why we originally used their services in the beginning. 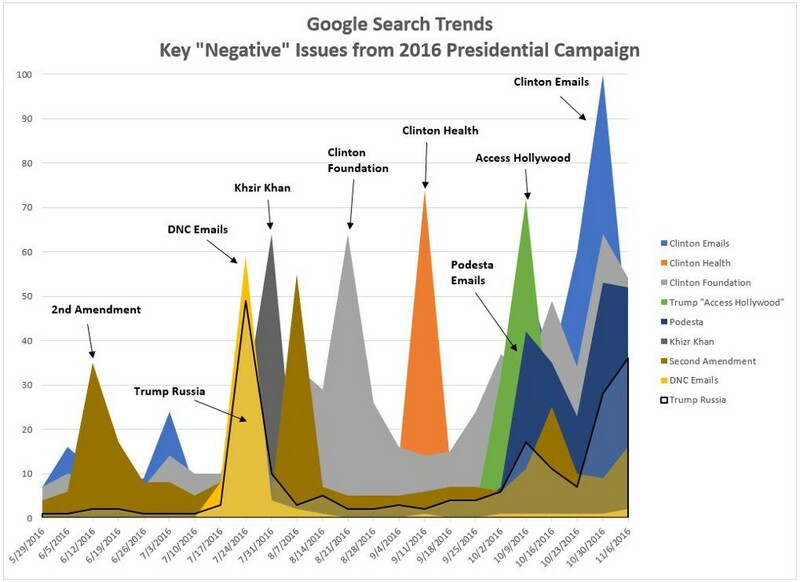 Two recent news reports have again raised serious doubts about the veracity and integrity of past reporting surrounding the Hillary Clinton email controversy and its over-reliance on government sources. First, in an August 23rd RealClearInvestigations story, Paul Sperry reported that the FBI’s examination hundreds of thousands of Hillary Clinton’s emails on Anthony Weiner’s unsecured laptop may not have been as complete as originally suggested by FBI Director James Comey. Keep in mind, Pollock’s evidence is no more concrete than the evidence Robert Mueller’s Trump-Russia probe provided when it indicted various Russian intelligence operatives for hacking the emails belonging to the Democratic National Committee and Clinton campaign chairman John Podesta. In both cases, the public is expected to accept the honesty and accuracy of evidence that cannot be independently scrutinized. Between the Weiner laptop revelations and the alleged Chinese hacker news stories, from a journalism perspective, the latter seems far more serious should the story prove to be even partially accurate. As for the alleged Chinese hacker story, it is baffling that the news media took over three years (!) to produce a substantive follow-up to a New York TimesJuly 2015 story that Department of State Inspector General Steven A. Linick and then-Intelligence Community Inspector General (ICIG) I. Charles McCullough III asked the Department of Justice to investigate whether classified information on Clinton’s private servers was compromised. It can’t be emphasized enough, any conclusions drawn from a news story dependent on anonymous government sources, current or former, must be tentative. But The Daily Caller’s alleged Chinese hacker story is no more dependent on anonymous sources than most Trump-Russia collusion stories over the past two years. National Public Radio runs a headline on the alleged Chinese hacker story like this — Trump Says Without Evidence That China Hacked Clinton Email Server — but gives us this headline for an even weaker-sourced CNN story on former Trump lawyer Michael Cohen’s possible testimony regarding President Trump’s prior knowledge of the infamous June 2016 Trump Tower meeting — Cohen Contradicts Denials Of Trump Tower Meeting By President’s Team. While the core conclusion of The Daily Caller story has yet to be invalidated, the assertions of CNN’s Cohen story have been contradicted by Cohen’s own lawyer, Lanny Davis, who was the source of CNN’s original story. “Attorney for Michael Cohen keeps changing his story on Trump Tower meeting,” cries CNN’s Jim Sciutto. Sorry, Jim, it should be in your job description to confirm the veracity of your sources. You don’t get to cry “Foul!” after you run the story. As for the rest of the national news media, we continue to get a nightly diet of “Russia, Russia, Russia” stories from MSNBC’s Rachel Maddow and others, but nary a peep about the possibility that Hillary Clinton was feeding our nation’s diplomatic secrets to Chinese intelligence on a real-time basis. And we wonder why the average American doesn’t trust the news media. The New York Times response to The Daily Caller story is even more disingenuous— China Denies Trump’s Claim It Hacked Clinton’s Emails, readsThe Times’ August 28th headline. Really? That is The Times’ response to The Daily Caller story? They thought maybe the Chinese government might fess up to spying on Clinton to a Times reporter? Do we believe Louie Gohmert? Not in isolation we shouldn’t. Instead, we must first invoke the George Carlin Rule: If all we possess is the word of a U.S. House member, that’s as worthless as an Adam Schiff press availability. We should require actual evidence we can see, touch, and examine. But, at the same time, the suggestion that Chinese hackers would know how to exploit a private server and email system is entirely plausible and can’t be dismissed out of hand. One would think The New York Times, having had its own servers penetrated by Chinese hackers in 2013, might be more sensitive to the possible compromise of Clinton’s email server by the same foreign actor. Yet, it should be obvious why The Times hasn’t and won’t lead such an inquiry. Based on the recent surge in The Times overall readership and profitability during the Trump-Russia collusion panic, do you think its readers would want to know if Clinton’s private server may have seriously jeopardized national security? The Times would likely lose readership if its readers were told as much. From the vantage point of commercial news organizations striving to maximize audiences and profits, the current news media obsession with the Trump-Russia collusion story is understandable. And while I tend to agree with journalist Glenn Greenwald’s assessment that the Russian meddling in 2016 was “not especially untoward,” the U.S. has done as much in other countries’ elections, I still don’t trust a single word that comes out of Donald Trump’s mouth or anyone associated with him. 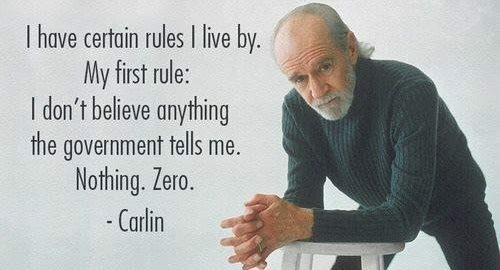 In other words, it has never been more urgent to invoke the Carlin Rule. So, given the profit motive and the persistent untrustworthiness of the Trump administration, it is hard to judge too harshly those journalists today pushing the Trump-Russia narrative. Its just too good for business. My better angels would like to think there is an alternative universe out there somewhere. A place where Hillary Clinton won the 2016 election and Rachel Maddow has spent the last two years hammering on “China, China, China” and how they may possess lèsuo (勒索) — the Chinese word for kompromat — on President Clinton. In such a world, I still wouldn’t respect Maddow’s journalistic standards, but at least I would respect her consistency. Good journalism is hard. When done well, it goes beyond merely parroting the words of government or official sources and finds that relevant but reluctant source, silenced by fear, status or ambition, who nudges the journalist closer to the truth. Good journalism requires a tenacious level of objectivity, a learned skill humans don’t naturally possess. When honest with ourselves, we realize objectivity potentially opens up some of our most deeply held beliefs to scrutiny and validation. Thus, in practice, objectivity is often so painful it is subconsciously avoided. But journalists are supposed to fight that ingrained bias. They are supposed to counter their own selfish instincts and fragile egos with aspirations of bias free reporting. That is not easy to do — and on some level impossible. So we should not be surprised (or overly judgmental) when sometimes journalists get crucial elements of a story wrong, particularly early in a story’s life cycle — history’s ‘first rough draft’ as journalist Alan Barth once wrote. But sometimes that first draft is not just off-the-mark, but seriously flawed and capable of doing lasting damage. The run-up to the 2003 Iraq War precipitated what some consider the nadir of modern American journalism. In early 2002, as the U.S. continued its occupation of Afghanistan in the immediate aftermath of the 9/11 attacks, the George W. Bush administration had another regime change war plan in the works — the invasion of Saddam Hussein’s Iraq. “President Bush and his senior advisers were so intent on pursuing their project for war, the documents show, that they refused to be deterred by early and repeated refusals of cooperation from regional allies like Turkey, Jordan, Saudi Arabia, and Egypt; or from traditional allies such as France and Germany,” wrote Prados and Ames. Which is why The New York Times’ reporting on the run-up to the 2003 Iraq War was critical and so damaging when it failed to rigorously question the Bush administration’s assertions and justifications for a regime change war in Iraq. In 2002, Judith Miller was a rising star at The Times, having just shared a Pulitzer Prize with other Times staff reporters for their coverage of global terrorism before and after the September 11 attacks. A graduate of Barnard College and Princeton University’s Woodrow Wilson School of Public and International Affairs, Miller was a bright reporter with a TV-friendly face, an increasingly important characteristic among ambitious print reporters who were appearing with more regularity on cable TV news programs. …Miller said that as an investigative reporter in the intelligence area, “my job isn’t to assess the government’s information and be an independent intelligence analyst myself. My job is to tell readers of The New York Times what the government thought about Iraq’s arsenal.” Many journalists would disagree with this; instead, they would consider offering an independent evaluation of official claims one of their chief responsibilities. Her reporting problems on Iraq started with a September 7, 2002 story (co-authored with Michael Gordon) on the reported interception of aluminum tubes headed to Iraq, in which she quoted unnamed “American officials” and “American intelligence experts” who claimed the tubes were intended to be used in centrifuges for the enrichment of weapons-grade nuclear material. An independent CIA analysis in October 2002 would contend the tubes’ “diameters were too small and the aluminum they were made from was too hard” to be used for centrifuges; instead, they were most likely intended for use in artillery. However, attempts by David Albright, a former weapons inspector who directed the Institute for Science and International Security who had read the CIA analysis, to convince Miller to correct The Times’ reporting on the “tubes” were rebuffed. Miller’s reporting on Iraq didn’t improve after that. An April 2003 Miller-penned story, based on hearsay evidence quoting an Iraqi scientist claiming Iraq had kept biological and chemical weapons right up to the U.S. invasion in March 2003, became a headline story throughout the U.S. news media. But, again, other U.S. intelligence reports contradicted Miller’s reporting. Among Miller’s sources on other Iraq WMD stories was Ahmed Chalabi, the U.S. government’s (and CIA’s) initial pick to replace Saddam Hussein. Chalabi and other Iraqi exiles, who would make up a large proportion of Miller’s sources on Iraqi WMDs, had one thing in common: their agenda was to replace the Saddam Hussein regime. When the Bush administration ended its ties to Chalabi in May 2004, in part due to his dishonest behavior, The Times had to admit much of its reporting on the Iraq War used Chalabi and his associates as sources, even when the veracity of their information was questionable. Oddly enough, I’ve often defended Judith Miller and her reporting on Iraq. I still contend that she was more a victim of a U.S. government-led manipulation effort aimed at American journalists than a perpetrator of a deliberate fraud. She should have known better. She should have been more inquisitive and doubtful regrading the information being fed to her. At the time, the pressures on reporters at a national news outlet to stick to a management-approved narrative are significant. Judith Miller and The New York Times didn’t lead the U.S. invasion of Iraq in 2003, they just made it easier for the Bush administration to sell the idea to the American people. The Iraq War reporting debacle still resonates throughout The Times’ newsroom. Miller’s career has all but ended, except for a few of her stories appearing on Newsmax now and then. Even Times reporters less culpable on the Iraq reporting, like James Risen, have moved on. At the corporate level, The Times expressed regrets over their paper’s reporting and even implemented editorial and policy changes in the newsroom. In that regard, I highly recommend reading Daniel Okrent’s full article, “Weapons of Mass Destruction? Or Mass Distraction?”. (1) The hunger for scoops creates an incentive to publish too soon and without the proper quality controls. News organizations must enforce editorial quality controls, even if it means delaying publication. (2) Wartime reporting increases the pressure for scoops and exclusives, making it important to increase, not relax, quality control procedures. (3) The Front-page Syndrome encourages reporters to imbue stories with the “sounds of trumpets.” Instead, news organizations need to give more respect to “on the one hand, on the other hand” stories that offer balance and perspective, but may lack the urgency and drama of more one-sided, assertive stories. (4) Military-sourced stories are seductive and exciting to write. They are too often biased. Yes, even quotes from military officers with stars on their shoulder cannot be uncritically accepted. (5) Surprising stories — Okrent calls it hit-and-run journalism — are too frequently published without the requisite editorial controls. Unexpected news, if anything, requires more curiosity on reporters’ part. (7) And, finally, end-run editing, where reporters in often remote locations are able to abbreviate normal editing procedures, needs to end. In the internet age, physical distance is no excuse for short-circuiting editorial standards. And I would add one more suggestion to Okrent’s list: Don’t believe anything the government tells you. Or anyone else for that matter. Had these suggestions been implemented in the coverage of the Trump-Russia collusion story, it would have helped news organizations avoid the rash of false reporting and out-right deception that has contaminated too much of the reporting so far. If the national news outlets want to rebuild the public’s trust in their reporting, it is imperative Okrent’s suggestions are systematically implemented in newsrooms again. It is doubtful senior management at CNN or MSNBC or The New York Timesare too concerned about the public’s overall trust in the news media. Not at this moment at least. The major news outlets are experiencing record audience growth and profits. Perhaps the public’s low overall trust in the news media does not reflect their trust towards their preferred news outlets? That may be true in the short-run, but what will happen to audience and readership numbers when the Trump-Russia story goes away? And it will go away…someday. What will happen if the final outcome of the Mueller probe is inconclusive or is reduced to indicting Trump campaign operatives on only “process crimes” and not any conspiracy charges? The news media, in that case, will have to answer a lot of questions about their journalistic standards and methods. The corporate news media has effectively exploited anti-Trump passions for short-term gain, but its rank journalistic standards in that pursuit may be doing permanent long-term damage to the Fourth Estate. While we still have to suffer through the general election kabuki dance, there is no mystery as to which party will control the U.S. House after the 2018 midterm elections. According to NuQum.com’s prediction model (see Figure 1) for the 2018 midterm election, the GOP will lose 35 House seats (Democrats need 23 to regain control of the House) and 4 Senate seats. Despite far more Democratic incumbents running in the 2018 U.S. Senate contests, the NuQum.com model predicts the Democrats will regain control of the U.S. Senate. Why is the midterm elections outcome irreversible? Labor Day is considered by many political analysts the key inflection point for midterm elections. Any party with a large lead in the generic ballot at that point is going to do well on Election Day. 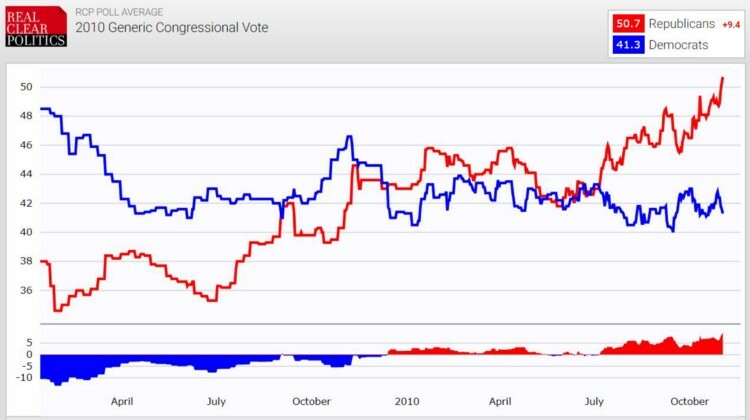 Given the current numbers, it would be unprecedented if the GOP were to retain control of the U.S. House after the midterms. 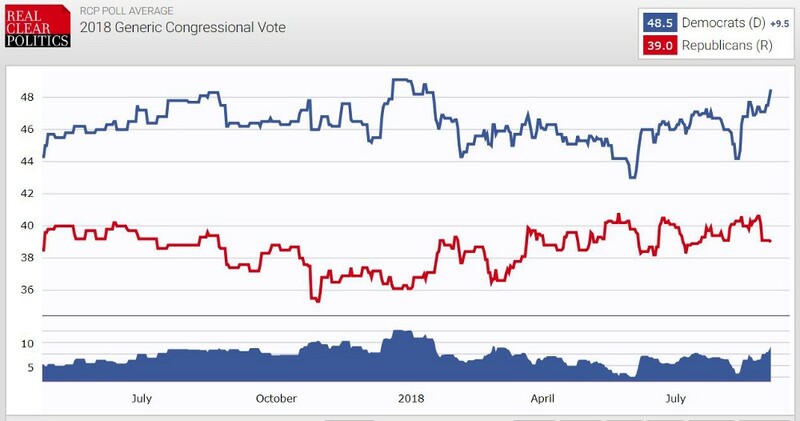 Since the wide use of the generic congressional ballot question for tracking purposes, such a turnaround has never happened this late in a midterm election year. 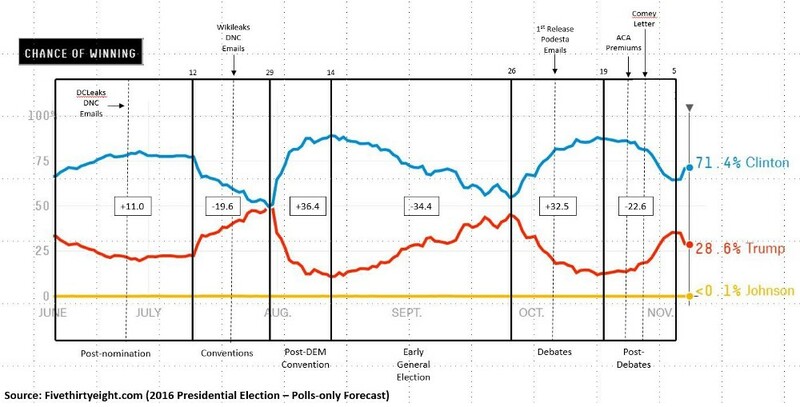 The last two midterms are illustrative of this stability and the practical irrelevance of general election campaigns (see Figure 2). The party that significantly leads the generic ballot in early September will most likely win the majority of votes in November. 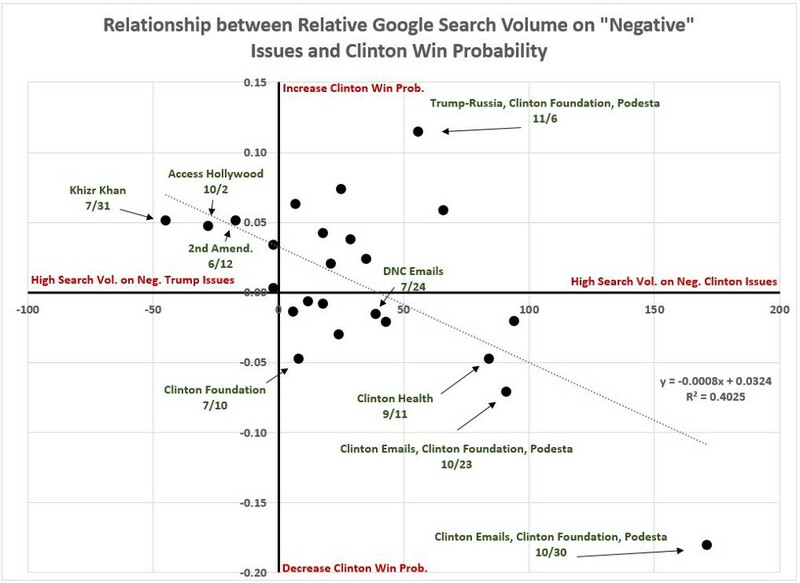 Scandals, candidate gaffes and other unpredictable events occurring late in the general election can alter individual race outcomes, but those cases tend to be randomly distributed and never sufficient in numbers to change the aggregate outcome for the Democrats and Republicans. The Democrats will gain 35 House seats and 4 Senate seats in November and there is nothing Donald Trump and the Republicans can do to alter this eventuality. 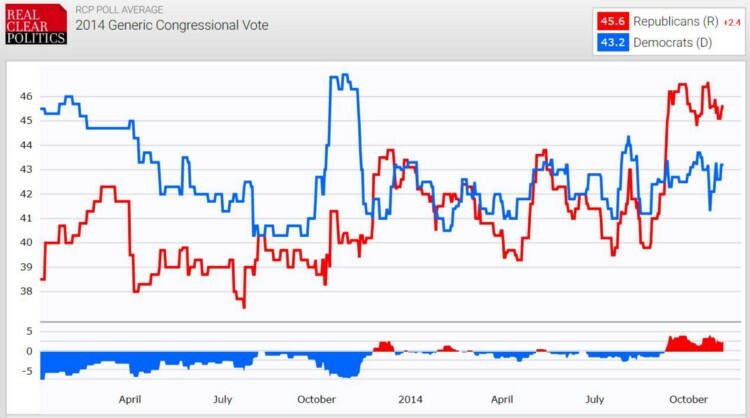 According to the NuQum.com model, Trump’s job approval could surge to 50 percent approval (it won’t) and the Republicans would still lose 26 House seats and one Senate seat. Understandably, memories of the 2016 election give Democrats pause about making strong predictions regarding 2018, but congressional elections in general are more predictable than presidential outcomes. In a bad year for incumbents, such as 2010 when the Democrats lost 52 House seats, 85 percent still won re-election. Retirements and open seat contests introduce some competitiveness into congressional elections; but, generally, those contests tend to break towards the party with the momentum heading into the general election. That party is the Democrats this year. Despite the considerable effort The Cook Report and Larry Sabato’s Crystal Ball put into predicting each congressional race, they are just modeling idiosyncratic variation. 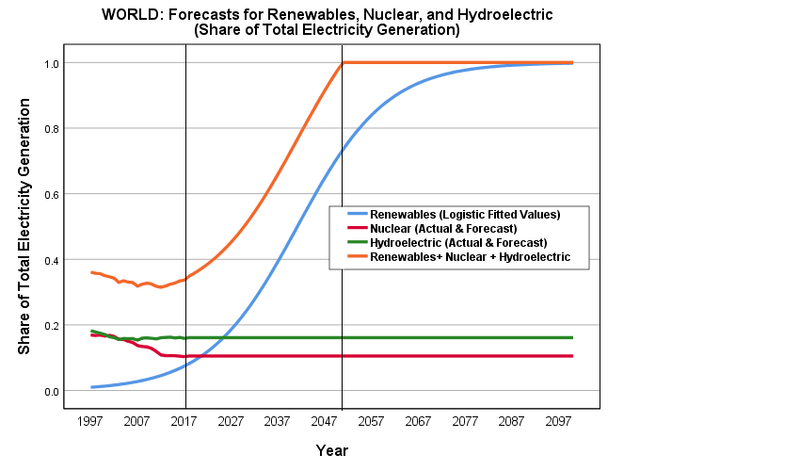 While their predictions are interesting, their analytic efforts merely nibble at the margins and are wholly unnecessary. The net partisan outcome for the 2018 midterms was largely determined in late 2017 when candidates had to make a decision whether or not to run for office. 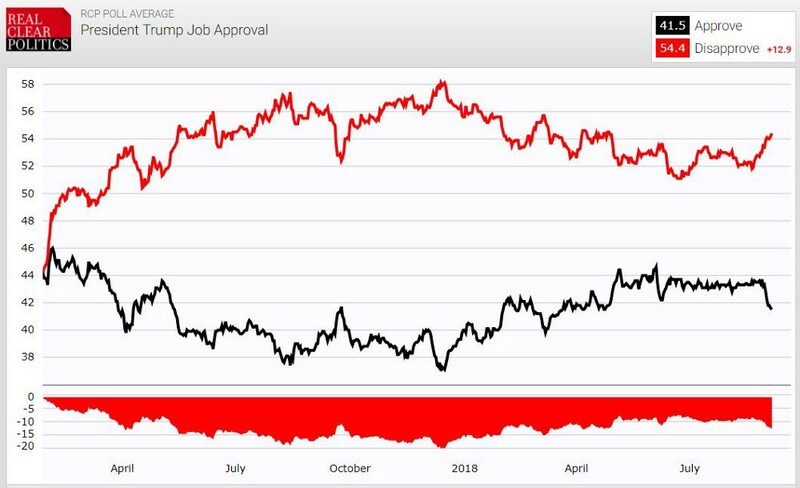 A quick inspection of Figure 4 shows Trump’s job approval in late 2017 was at or near the bottom for his term. In other words, quality Democratic candidates should have been feeling at that time very confident in their candidacies being successful in 2018. The NuQum.com model at the start of 2018 predicted a net House gain by Democrats of around 40 seats. Little has changed since that prediction. The New York Times’ Frank Bruni and Liriel Higa recently highlighted the 13 congressional candidates they consider the “faces” of the next generation of Democratic leaders. Despite relying on a lazy and predicable ‘year of the woman’ narrative, their article conveyed the considerable strengths of the newest generation of first-time Democratic congressional candidates. The candidates in the article share this common trait: Good speakers that prefer to emphasize their background and résumés over talking about specific policy ideas. It’s a safe strategy geared towards getting centrist Democrats elected in conservative-leaning congressional districts. These are strong, high-quality Democratic challengers who saw President Trump’s significant weaknesses with voters in late 2017, particularly in suburban America, and realized now is their opportunity to run and win. That fact, more than any other reason, is why the outcome of the 2018 midterms is already baked into the system. At this late juncture, there is nothing the Republicans can do to save their House majority, and they will probably lose the Senate majority as well. The 2018 midterm elections are, for all intents and purposes, over. Election Day in November is a mere formality. Unwittingly, Bruni and Higa also brought into focus a dangerous split that increasingly defines today’s Democratic Party. For lack of a better description, the split is between the Democratic Party establishment, still personified by Barack Obama, and the party’s progressive wing, otherwise known as Berniecrats. According to Bruni and Higa, to win in traditionally Republican and suburban congressional districts, the Democrats are relying largely on centrist Democrats (or policy averse Democrats, as I call them) who emphasize their identities and personal backgrounds over their specific policy ideas. Among the candidates Bruni and Higa feature, most are women, many have military service in their background and, with some noticeable exceptions, avoid policy specifics. Yes, these candidates have policy preferences, but that is not how they want to define themselves with voters. Similar to the Hillary Clinton campaign, the emphasis is on résumé over substance. Only Allred and Campa-Najjar from the Bruni and Higa article can be considered strong progressives. A good example of these centrist candidates is Katie Hill, the Democratic House candidate in California’s 25th district, who is bisexual, married to a bisexual man, had an unplanned pregnancy at 18 and owns guns. These specific traits, experiences and life choices really have nothing to do with one another, other than they emphasize her distinctiveness from the Republican incumbent, Steve Knight, who has routinely voted to limit reproductive rights and deny basic civil liberties to LGBTQ Americans. More importantly, Hill is decidedly centrist in her policy views, even though she is routinely called a ‘progressive’ by the national news media. In describing the Hill candidacy, The Los Angeles Times asks: How does a progressive Democrat try to unseat a Republican? Step one: Don’t talk about single-payer healthcare. Hill’s answer is straight out of the corporatist ‘New Democrat’ handbook: When addressing universal health care, load your sentences with inoffensive platitudes and commit to nothing. This is not a criticism of Hill. To the contrary, it demonstrates her readiness to run for office and win. It is that quality in her that separates high-quality candidates that can win from political neophytes, who usually go down in a flaming heap of position papers and policy statements when they first run for office. Hill is simply implementing the ‘New Democrat’ strategy championed by Bill Clinton and Al Gore in post-Reagan America and perfected by Barack Obama. Strategic centrism, as Illinois Senator Tammy Duckworth describes it, advises Democrats to stay as close to the political center as possible, without alienating the progressive wing of the party; and, when at all possible, avoid boxing themselves in with firm positions on major policy proposals when, instead, they must put a premium on ideological flexibility. It is this strategy that has become the dominant approach among today’s establishment Democrats, particularly those competing in middle America and conservative-leaning, suburban districts. Duckworth may be right, but her opinion, which reflects the views of most establishment Democrats, is oddly reminiscent of an argument establishment Republicans were making in the mid-1970s when they dismissed Ronald Reagan’s muscular conservatism as a viable national strategy. Like Duckworth, the Bob Doles and Nelson Rockefellers in the GOP at the time saw overly strident ideological positions as a liability, not a strategic asset. They were wrong and Reagan conservatism has been the establishment position for the GOP up until Trump’s recent rise. And today’s Democratic Party looks increasingly like the Republican Party when it emerged from under Richard Nixon and Watergate — no coherent vision, just a need to regain power any way possible. Democratic leaders insist on using the same playbook as Bill Clinton’s in 1992 or Barack Obama’s in 2008: Stay near the political center and rely on organizational superiority and candidate charisma to win elections. Substantive policy fights are best held away from the public’s gaze. But what will happen once the Democrats, riding on the success of its centrist candidates, take back control of the House and Senate next January? Do the Democratic progressives who will join them, such as New York’s Ocasio-Cortez, Michigan’s Rashida Tlaib, and Massachusetts’ Ayanna Pressley, simply take a backbench seat and wait for their marching orders from House Speaker Nancy Pelosi? I don’t think so. In fact, conditions will likely deteriorate very fast for the Democrats, especially if they also control the U.S. Senate. Ocasio-Cortez isn’t going to Congress to watch Pelosi and New York Senator Chuck Schumer run investigations on the Trump administration. Her constituents will want to see tangible results. Sadly, they will far more likely see the Democrat-controlled Congress approve record-sized defense budgets than the passage of legislation overhauling the inefficient U.S. health care system or increasing the minimum wage or reducing the student debt burden for millions of Americans. Can Pelosi and Schumer maintain the delicate balance between the corporatist interests seeking open markets, capital mobility, and low labor costs and progressive Democrats, many of whom are still fuming over how the Democratic National Committee openly rigged 2016 primary process against Bernie Sanders? It’s a balancing act the Democratic Party establishment has been attempting since 1992, with little success. Why should the present be any different? Still, establishment Democrats will see the 2018 landslide as a watershed moment in U.S. political history where a near-permanent Democratic majority finally emerges. The GOP’s impending electoral debacle will, in turn, be seen as a signal of the end of its dominance over the American political system since 1978, when the first sizable number of Reagan conservatives began to win elections. As it always is, the reality for Democrats will be murkier and fraught with political landmines. The 2018 midterms will be the first election when a meaningful number of progressive, anti-establishment Democrats start winning elections. However, if progressives are rebuffed and ignored by their congressional leadership (as I expect they will be), they will unleash hellfire on their leaders, not unlike the backbencher revolt Newt Gingrich engineered against his party’s establishment in the late 80s and early 90s. Furthermore, it is increasingly possible the Democratic Party will effectively split into two separate parties, aligned on social justice issues, but permanently divided on economic policy. If the 2016 election taught us anything, it is that majority of voters across the ideological spectrum are tired of establishment politicians dedicated to the interests of their large campaign donors over the interests of most Americans. As filmmaker Michael Moore aptly put it, Trump was their Molotov cocktail being thrown into the political system. The message should have been obvious to the political establishment in both parties. Instead, we are distracted by various forms of Trump Derangement Syndrome and anti-Russia scaremongering every night on our nightly news programs. The American political class has done nothing to regain the trust of the American people. Nothing. 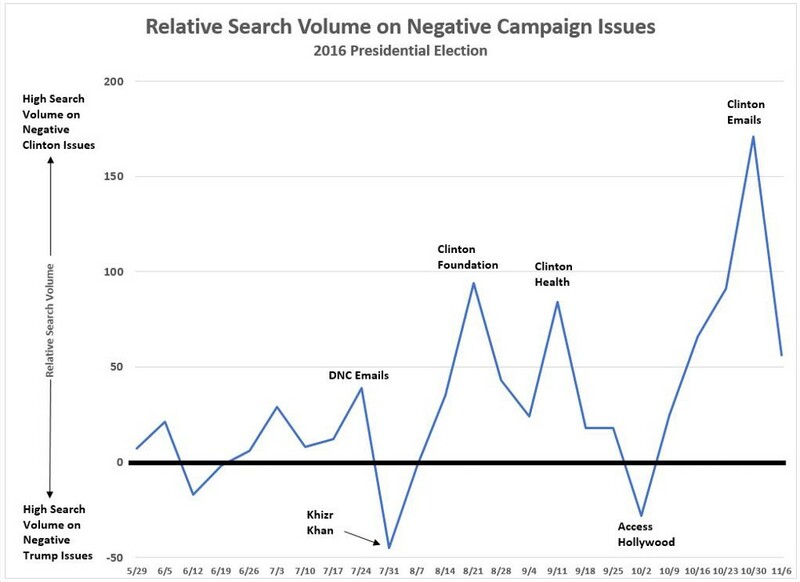 As I pour through reams of survey cross-tabulations on current American attitudes, two years removed from the 2016 election, I see the same distrust and anger that was evident then— in fact, the discontent directed towards the political system may be worse (see Figure 5 below). And while most Americans are done with Trump, they are not screaming for more cautious centrism in his place. And does anyone think Nancy Pelosi and Chuck Schumer are the leadership Americans are craving for? It is informative that Bernie Sanders is still among the most popular politicians in America today. According to YouGov’s popularity tracking service, as of July 2018, Bernie Sanders was the 14th most popular person in the U.S., behind other politicians and notables such as Joe Biden (13th), Pope Francis (11th), Jimmy Carter (10th), Barack Obama (5th), Prince William (4th), Prince Harry (3rd), Bill Gates (2nd) and Queen Elizabeth (1st). Behind Sanders are Bill Clinton (20th), Hillary Clinton (28th), Donald Trump (29th), Elizabeth Warren (41st), Nikki Haley (64th), Nancy Pelosi (67th), Chuck Schumer (78th), Corey Booker (82nd), Kamala Harris (88th) and Kristen Gillibrand (117th). Seeing the continued strength of the Sanders brand relative to other active Democratic politicians, I wonder if the Democratic Party learned what it should have from 2016?